Schrager and Starck went on to create the Delano in Miami Beach in 1995, which has a swimming pool that is raised from the poolside "making it like a piece of furniture"
One of the world's most influential hoteliers and developers, Ian Schrager redefined nightclubs, invented the boutique hotel and is now rethinking luxury apartments. Dezeen spoke to Schrager about his collaborations with architects and designers including Arata Isozaki, Philippe Starck and Herzog & de Meuron (+ interview + slideshow). Schrager, 69, made his first mark on the hotel industry in 1984 with Morgans, the New York hotel that spawned the "boutique hotel" genre. "It really was the first boutique hotel," he explained by phone from New York. "There was nothing before it. And we lost ownership of that [phrase]. It became part of the English language." Schrager previously made his name with the legendary Studio 54 nightclub in New York, but his first brush with avant-garde architecture came in 1985, when he teamed up with the then relatively unknown Japanese architect Arata Isozaki, who designed Schrager's next nightspot, the Palladium in New York. "I saw stuff by Isozaki in a magazine or a book or something," Schrager explains. "So I went to see Philip Johnson and asked him what he thought. He thought Isozaki was brilliant so I got his number, and I called him up. I didn't know that there was a 13-hour time difference. That kind of woke him up." 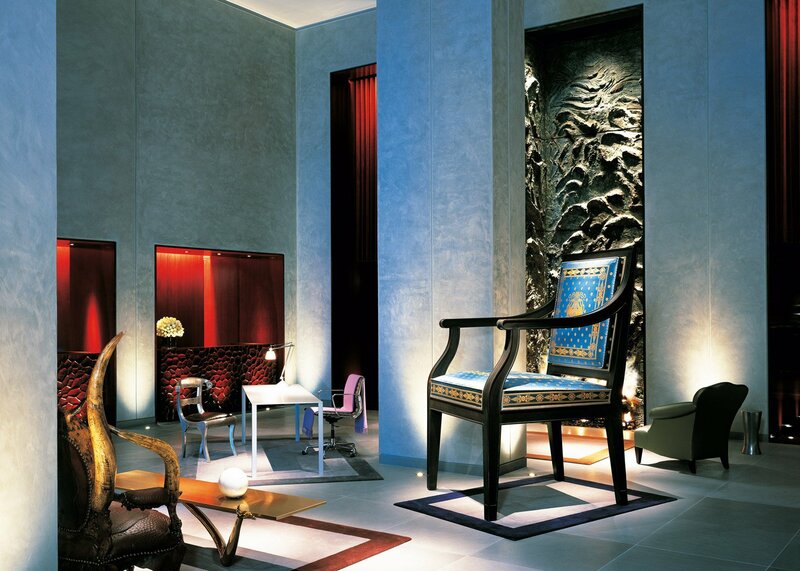 Later Schrager teamed up with French designer Philippe Starck to further revolutionise the hotel industry with first the Royalton in New York and then the Delano in Miami Beach. At the latter, a glamorous revamp of Robert Swartburg's 1947 Art Deco landmark, the duo "reinvented the swimming pool," according to Schrager. "Starck doesn't come from a culture where every house has a pool in its backyard like a lot of places in America do," he explains. "But he came up with this idea of lifting the pool up to 16, 17 inches, making it like a piece of furniture and making it like a water salon." Philippe Starck worked with Schrager on the Delano hotel where he designed a swimming pool that is raised up from the poolside "making it like a piece of furniture"
More recently Schrager has turned his attention to apartment projects in New York, completing 40 Bond by Herzog & de Meuron in 2007. Now he has teamed up with the Swiss architects again for his next project, 160 Leroy. Will the project be a game-changer like his hotels have been? "That is the point! If I couldn't do that, I wouldn't do it," he said, explaining that the condos will have two kitchens – the second being "a dirty kitchen, where you'd be able to wash dishes and prepare things." Another innovation is to reverse the "amenity creep" visible in other luxury apartment projects, where developers throw in amenities that aren't needed. "The hotel business got into putting things in the room that people don't really care about," Schrager said. "Same thing happened in apartments. People started putting all these things into apartment buildings that people really didn't care about and that don't add anything. You know, golf driving cages, archery courses, party rooms." Instead, 160 Leroy will focus on providing "really great, sophisticated apartments with really great layout with finishes and details that are unlike anything else. You don't need any of that other stuff, which is just a lot of BS as far as I'm concerned." Marcus Fairs: We just published a story about the project you're doing with Herzog & de Meuron at 160 Leroy. Ian Schrager: I saw it, I look at your site all of the time. I love it. Marcus Fairs: Thank you! You've worked with many great architects and designers over the years on hotels and nightclubs and, more recently, condo buildings. 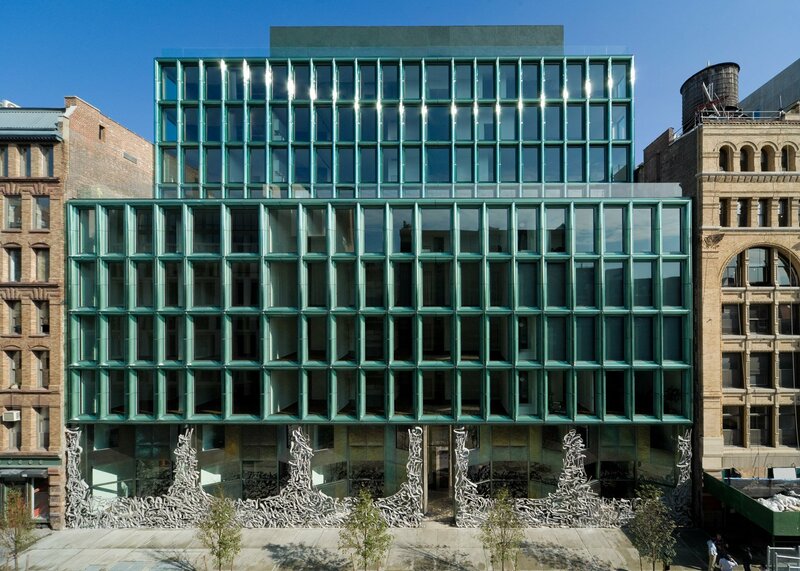 You worked with Herzog & de Meuron on 40 Bond in New York and you're working with them again on 160 Leroy. Why did you choose to work with them again? Ian Schrager: A lot of architects have signature looks, and they keep getting better and better and better and more refined. Richard Meier is a very good example of that. But you know I always like to pull the rabbit out of the hat and do the unexpected. And Herzog & de Meuron don't have a signature look. Every time they step up and do something, you're never quite sure what they're going to come up with. Every solution is tailored to the individual site that they're working on. And that to me is the attractive thing about working with those guys. And they're brilliant. They're Modernists, but they're not straightjacket Modernists. They just have a modern approach to architecture, and you never quite know what you're going to get when you work with them. And I think that it's a virtue to work with a designer again and again, design after design, because it becomes easier, and you begin to know each other. So they're my go-to people. You know, and I just think they're great. Marcus Fairs: Do you give them a free rein in terms of design, or do you provide a lot of direction? Ian Schrager: I don't know if I would use the word "direction", but I don't give them a carte blanche. I can't delegate the responsibility for the success of the project. We are intimately involved every step of the way. A lot of our role is to try and get the best work out of them. So we're intimately involved in the conception of it, the direction, the editing and all of that entire process. I think part of what I like to think, I hope it's true, that if somebody else would work with Herzog, they wouldn't get the same kind of thing, because working with me is an acquired process. And that's something that somebody couldn't just go to Herzog and get the same thing from them. Marcus Fairs: There are a lot of European architects working in New York on condominium projects at the moment. Herzog & de Meuron, Jean Nouvel, Bjarke Ingels and Zaha Hadid are all building in the city. Has New York suddenly discovered avant-garde European architecture? Ian Schrager: I wish it were the case that they'd got the bug, but I don't think they have. When the economy wasn't so good, you had the real lovers of architecture working with what I call not the usual suspects; these really great European architects, American architects, or architects from around the world. But [most] people like the corporate. A lot of times those corporate architects are chosen because they know how to navigate the system to get the project built, which is quite difficult in cities sometimes. But I think what happened could be because the economy has been so strong, that traditional developers became more receptive to working with not the usual suspects. Because they realised that design was a good business and there was enough room in the numbers that they'd work with them. And once the economy packs up, you'll see these guys won't be doing this anymore. They'll go back to the corporate suspects, and you'll be left with the guys that love it. One thing that I think had happened is that a lot of the great designers scared us. Because they built expensively, and they weren't compromising. And perhaps they were a little bit indulgent in certain things, with timing and all that. And I think that scared up a lot of developers, and so I think the architects themselves have gotten a little bit better at that. So that also contributed to having more work. But I think once the economy gets tough, and they don't have that same room in the numbers, they'll go back to their comfort zone of choosing the corporate guys. Marcus Fairs: But you've always worked with avant-garde architects, starting with Arata Isozaki, who designed the Palladium nightclub in 1985. How did it all start and why did you not go for the safe corporate architects? Ian Schrager: Because it's my personal thing; it's what I love. And you know, I'm not really interested. You know, I've done over 40 hotels. Each one of those 40 hotels could have been the basis of a new brand for a big company. But I was never really interested in that; I was always interested in doing an innovative product. That was always my reason for being in business, doing something innovative. And it kind of makes sense to hire a designer that nobody else would ever hire, because it was too risky, or treacherous. Marcus Fairs: Prior to the Palladium you ran the legendary Studio 54 nightclub, where everyone from David Bowie to Elizabeth Taylor were regulars. Did you get to know Bowie? Ian Schrager: Yeah, David lived in my building, at 285 Lafayette. I moved out of it when I built 40 Bond. He was really a great guy. Very approachable, very unassuming, he was a very nice man. Marcus Fairs: How did the collaboration with Isozaki come about? Ian Schrager: I saw stuff by Isozaki in a magazine or a book or something. So I went to see Philip Johnson and asked him what he thought. He thought Isozaki was brilliant so I got his number, and I called him up. I didn't know that there was a 13-hour time difference. That kind of woke him up. I said to him that I thought that doing a nightclub was more about design and architecture than anything, because you really don't have any product other than the design and architecture. You don't have any product. You have the same music, the same liquor that everybody else has. So, and I think that interested him. And the next thing I knew, I got two models in the mail from him. You know, these complicated models. One was a round nightclub, and one was an architectural square. It was so funny, to go to a world-class architect, and get a world-class design. The budget was $3 million, the place ended up costing $12 million! We were building a building in a building. That was a hardest project that I ever did. Marcus Fairs: Around the same time you moved into hotels, starting with Morgans in New York in 1984. Tell us about that. 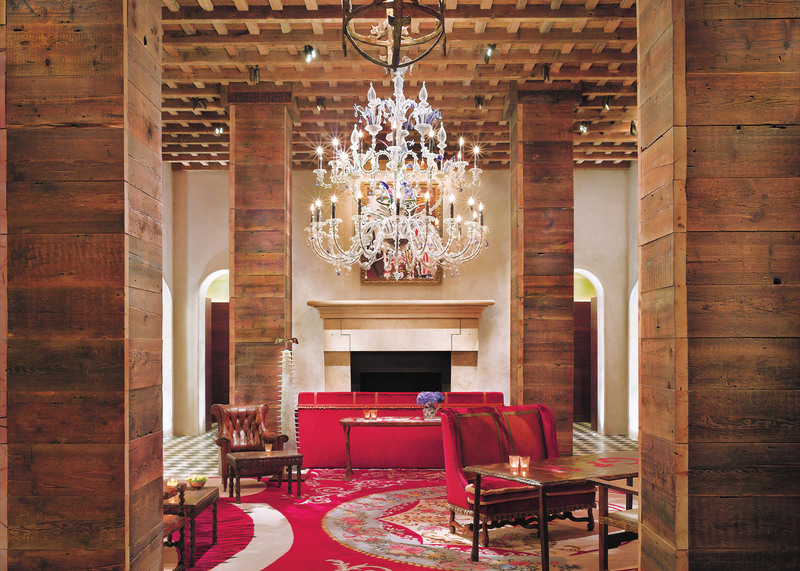 Ian Schrager: I remember when I did my first hotel and I hired a French designer, Andrée Putman, who really wasn't an interior designer, but she had great style. And I would get plans that were in metres, not inches. And the French had different bathing habits, and different sleeping habits, they liked square pillows, whereas Americans liked rectangular pillows. Americans like their sinks at 28, 30 inches, Europeans like them higher. So on and so forth. But I thought that working with Andrée would give me the competitive advantage by definition, because she never did anything here before. So I would come up with a new look, a new way, new approach. And that's always been something that interested me, it was always my approach. 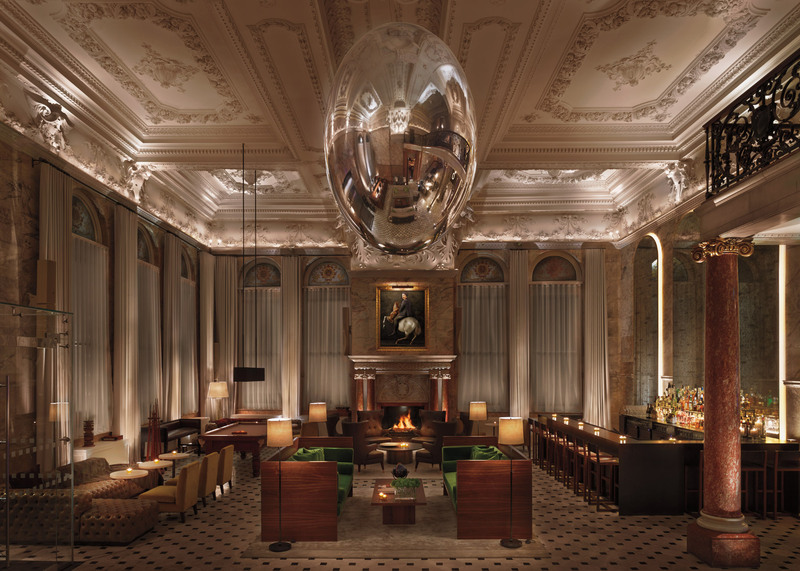 Marcus Fairs: People describe Morgans as the first boutique hotel. Was it? Ian Schrager: It really was, yes. It really was the first boutique hotel. When you talk about the first boutique hotel, it's a little bit like trying to decide who invented the desk. There are people that make contributions along the way. But in terms of the prototypical boutique hotel now, which has, exciting for food and beverage, highly stylised rooms, and design, and a break from the hotel tradition, the uniforms, the cool bars… that was the first. There was nothing before it. Marcus Fairs: Did you know that you were creating the first boutique hotel? Was that your intention? Ian Schrager: It was my business partner Steve Rubell who coined the word "boutique". Because it was his way of explaining to people what we were trying to do, that all the other hotels were like these big department stores. They were generic, a commodity. They were trying to be all things to all people. But "boutique" – which has nothing to do with size, by the way – has a very specific focus on something, has something very specific to say, and not trying to be all things to all people. And we lost ownership of that thing. It became part of the English language. Marcus Fairs: And then, after Morgans, the collaboration that you're best known for was with Philippe Starck. 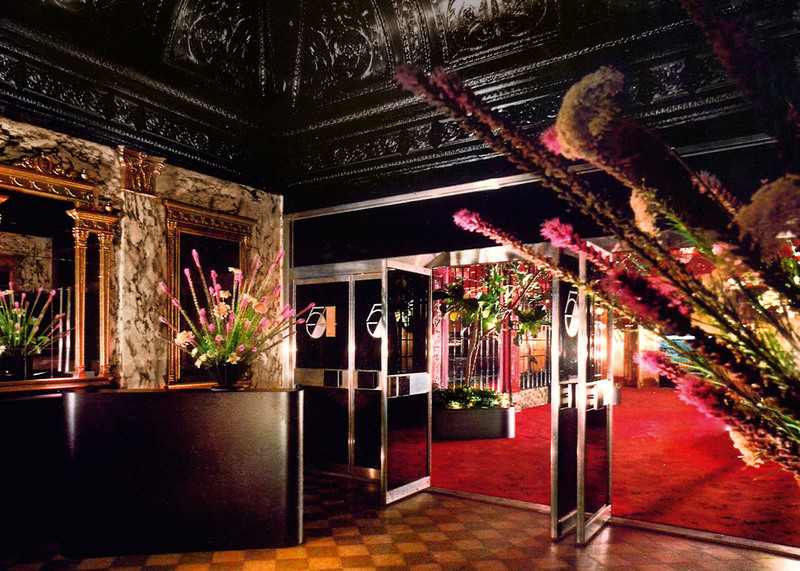 Ian Schrager: Yes I worked on Morgans with Putman, who was a great styler, but she didn't really design original pieces of furniture and things like that. But she was a great stylist, and she brought that great style to all the hotels where before you know like they had nothing but smelly bedspreads on the beds in the generic hotels. And so we thought what we'd do with the Royalton – which was only a couple of blocks from Morgans – in order not juxtapose it against Morgans and not cannibalise our business at Morgans, we wanted to have a hotel that had a bit of personality. We wanted a hotel where some people might like the Royalton, and some people might like Morgans. Morgans had no lobby; we wanted the Royalton to have a big lobby. Morgans had no bathtubs; we wanted the Royalton to have big baths, and so on. I love design, I look at all the books and the magazines, the internet, and what's going on, and I remember seeing Café Costes, the brasserie that Philippe had done in Paris. It was a big success. I remember the bathrooms in there were so irreverent and humorous, nobody knew how to use them. And I always had believed that the way to distinguish a hotel room was to have a great bathroom, the same way you can sell a family house by having a great kitchen. So I thought well, if we could reinvent the tradition of the French brasserie bathroom, but still keep the essence of it, I would like to do that in a hotel. So we called [Starck] over and we were kindred spirits. And like with Herzog, he also didn't have a specific look. And we were kindred spirits, we got on very well and we did a number of projects with him. 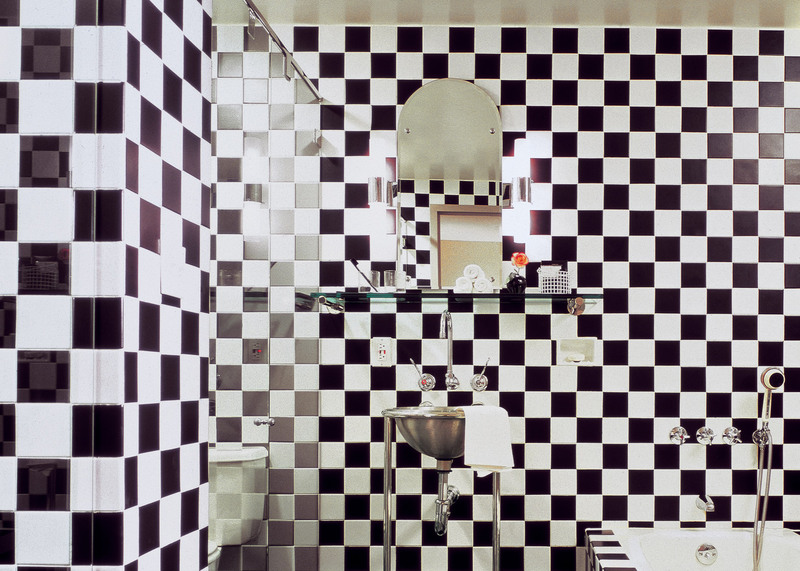 Marcus Fairs: What do you think was groundbreaking about the projects you did with Starck? 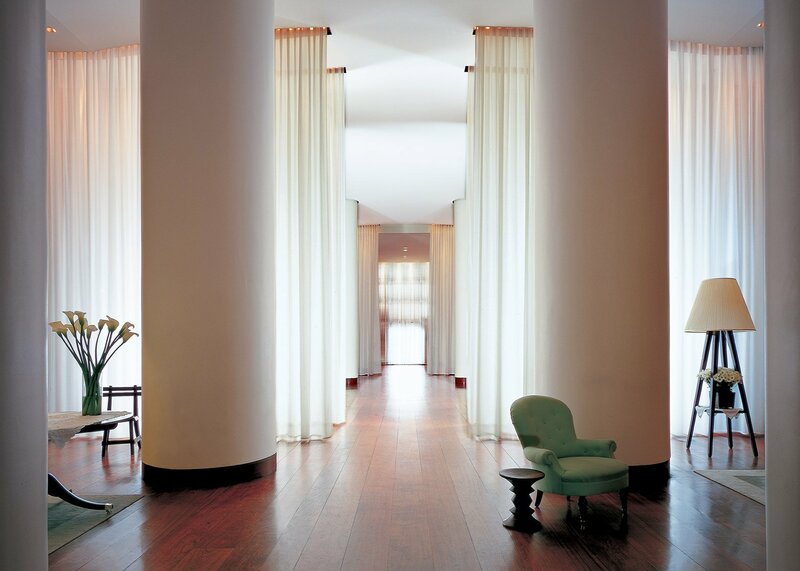 Ian Schrager: You know I think he only had a kind of witty, irreverent and non-traditional approach to design. He didn't have any formal training as an architect and I think he brought a little of himself into these projects. He was an incredibly charming, humorous guy, he had a special take on life. It was up to us to come up with the programme for the hotel, and that depended upon the financial metrics but it also depended upon the physical space, and what we wanted to do, and Philippe was great at it. And I'll give you a really perfect example. At the Delano, we reinvented the swimming pool. Starck doesn't come from a culture where every house has a pool in its back yard like a lot of places in America do. But he came up with this idea of lifting the pool up to 16, 17 inches, making it like a piece of furniture and making it like a water salon. It has really has been copied over and over again, because it was a different way of looking at a pool. It was like a big bathtub. I think that's what he did in a number of his projects with us. He came up with the idea that you walk into a place and it wasn't just about the design, it was about a feeling you got. You knew you were in someplace special. It's a little bit like when you go into a nightclub and it's incredibly exciting; you can't put your finger on it but you know it's exciting and you know it's cool. But you can't say why. And I think Philippe combined with the programme and was just a combustible, energised thing, that was just completely different from every other hotel that was out there. And the funny thing about it is, he came from the nightclub world too. His first projects were nightclubs. Marcus Fairs: So you wanted to create a sense of being somewhere exciting. Ian Schrager: Yes. All the great historic hotels in the world were like that. All the great hotels always served as a magnet to people who lived in that city as well as visitors. You'd come for your lunches, your dinners and your special events. But when the real estate guys got hold of the hotel business, or even the big hotel companies, and they didn't know how to make money with food and beverage, so they went into other areas. And so it was just ripe for somebody like myself to go on and say "hey, these guys have left a good idea behind, and I'm going to grab it, and I'm going to do it". Marcus Fairs: And what else do you think was important about the projects you did, do you think you really changed the way lobbies were used for socialising? Ian Schrager: Definitely. I think it's a prototype. It's not only a prototype for independent lifestyle hotels, it's the prototype for every big institutional hotel company now. I see things that the big hotel companies are doing now, across all brands, and across all prices, that are things I was saying 20 years ago to promote those hotels that I was then opening. The lobbies as gathering places, bars, grab-and-gos, encouraging people to stay there and hang out there… everybody is doing it now. That was our contribution. Marcus Fairs: And more recently you've been building apartment buildings in New York. Is that a switch in strategy for you? Ian Schrager: No, it's opportunistic. We're working on a bunch of hotels now but I like the condominium business. It's different from the hotel business in the sense that you don't have the kind of public space, and when you finish building a hotel your work just begins; when you finish building an apartment, your work is over. And in a hotel, my personality is in the room; it's my idea, I'm creating a certain feeling and a certain feeling and a certain ambience. But in an apartment building, I have to create an ambience in a world that will be receptive to the person who buys it. So it's more like giving them a blank canvas that works with their style. So it's a different approach. But I like building. I could build an office building if I had a new idea for it. Marcus Fairs: Do you think you've introduced as many fresh ideas to condos as you did with hotels? Or is that not the point? Ian Schrager: That is the point! If I couldn't do that, I wouldn't do it. I just think that the finishes, and the details that go into the projects we do, no other developer does it. And no other developer makes such a commitment to try and do something so special. In 160 Leroy we introduced the use of Scandinavian wood from Dinesen, which I don't think another developer would dare use. First of all, because it is very expensive, but it is a little soft, and we also used it in the bathrooms. And we needed a lot of the apartments to have two kitchens; we took this idea of the European larder. And we have a lot of kitchen islands there. You know like, I have an apartment with a kitchen island. I don't mind, by the way, when you have to cook when you're washing the dishes, and you're also having your dinner. But some people do, so we thought it would give people the option of being able to go into a second kitchen, a dirty kitchen, where you'd be able to wash dishes and prepare things. So you can get the benefit of the island which is like a heart, a social heart of the home, which you love. But if you want to have a private dinner party, you know you have this dirty kitchen where you can prepare and you don't have to see all that. You know, two kitchens, that's a novel idea. And you know, the level of sophistication, and when the choice is between something economically practical, and economically efficient, and doing something that innovative, provided it makes sense, we'll do the innovative one. Starck styled the dramatic Art Deco lobby at the Delano in Miami Beach to create the sense that guests were "someplace special"
Marcus Fairs: Nightclubs and hotel lobbies are very public spaces. But an apartment building is private. Ian Schrager: Yeah, exactly. But it still has to make you feel good when you walk into it. And it still has make you feel like you're in a special place. But it's a lot more about intimacy and privacy and dignity. Marcus Fairs: What else will be different about 16o Leroy? 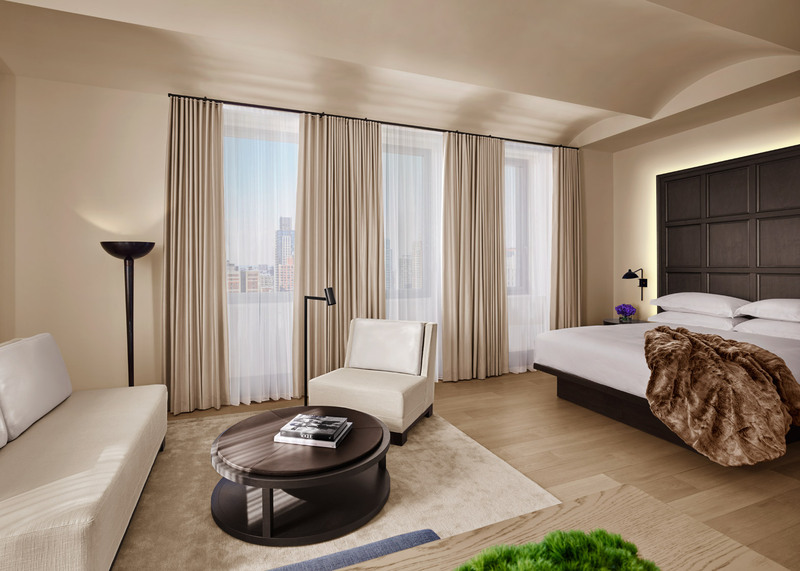 Ian Schrager: We got away from what I call "amenity creep". The hotel business got into putting things in the room that people don't really care about. Same thing happened in apartments. People started putting all these things into apartment buildings that people really didn't care about and that don't add anything. You know, golf driving cages, archery courses, party rooms. People want to have parties in their homes; that's where they go. So we really got off that bandwagon, people were introducing all these superfluous, contrived, things in the public spaces of these apartment buildings in an effort to distinguish their building from others. Our approach was, hey you know how you distinguish your apartment from other apartments; through really great, sophisticated apartments with really great layout with finishes and details that are unlike anything else. That's the way you distinguish your apartment; not by these contrived things. So we cut down on things that go in the public space. So here we have a swimming pool, a gym, and a spa. And I think we have a play area for kids. So that parents, when it's raining out and the kids are driving them crazy – I have five kids by the way – you can go downstairs to an indoor play area. And that's it. You don't need any of that other stuff, which is just a lot of BS as far as I'm concerned. Marcus Fairs: How has New York changed? I think a lot of people are saying that they are concerned that it's becoming overrun with rich people living in luxury condos that the public can't access. The city has changed a lot in the years since Studio 54. Do you miss old New York, or do you think that's just part of the evolution of cities? Ian Schrager: I think we all do [miss the old city]. I think my parents did. You know I remember driving around with my parents with them saying that it used to be better. F Scott Fitzgerald said it used to be better. People always say that. But I do think that not having diversity in cities is a bad thing. And it just being rich people is not a good thing. I think an area gentrifying and having some rich people is fine, as long as the area has diversity. It is a diversity that brings the energy, and brings the greatness to a city. I think that's an issue. You are seeing Brooklyn develop now for the same reason that it developed 200 years ago. Manhattan was too expensive, so people went to Brooklyn. You know I think these micro apartments they are being built are potentially a great solution. They're doing them in San Francisco. I think there's a design problem to make these places efficient. And I think that's a very exciting prospect. Marcus Fairs: You said earlier on about that you worked in a lot of hotels, and any one of them could have been turned into a brand. You are working on a brand now, with Edition, the hotel chain you launched with Marriott International. Tell me about that. 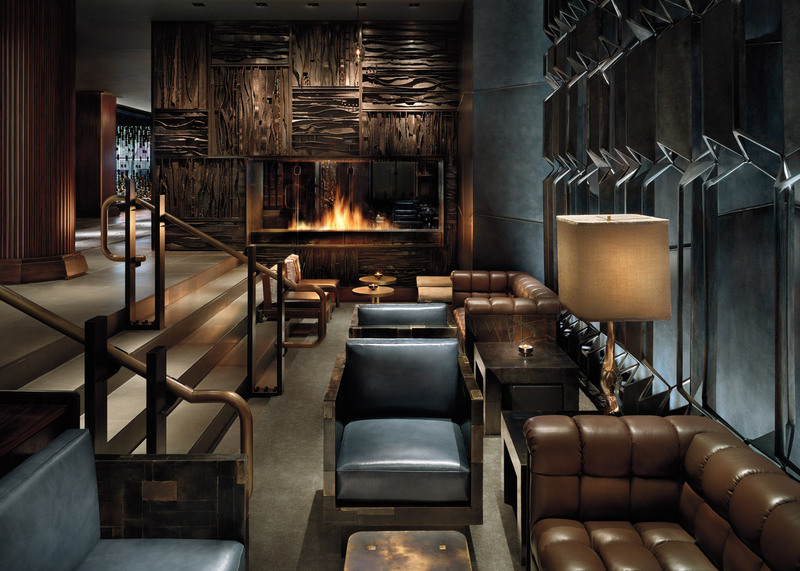 Ian Schrager: Well, I have never done a big hotel, a company thing, before. My hotels had served like candy stores for the other operators. I would spend two or three years on a hotel, and then everybody would come and pick the ideas off and use them. I thought it might be fun to work with a really, really big company, and try to do a brand that would be really, really special and get out there and do a lot of them very fast. So that was the idea. People were sceptical about it when I announced it; they thought that I was making a Faustian bargain with the devil, or that I was selling out. I could never sell out! You know, I think the stuff we've done with Marriott is just as good. All the hotels we've built have been great. And if it wasn't I wouldn't do it, by the way. It turning out to be very successful. Marcus Fairs: And is there anything else, any other directions that you'd like to go into, if you could? 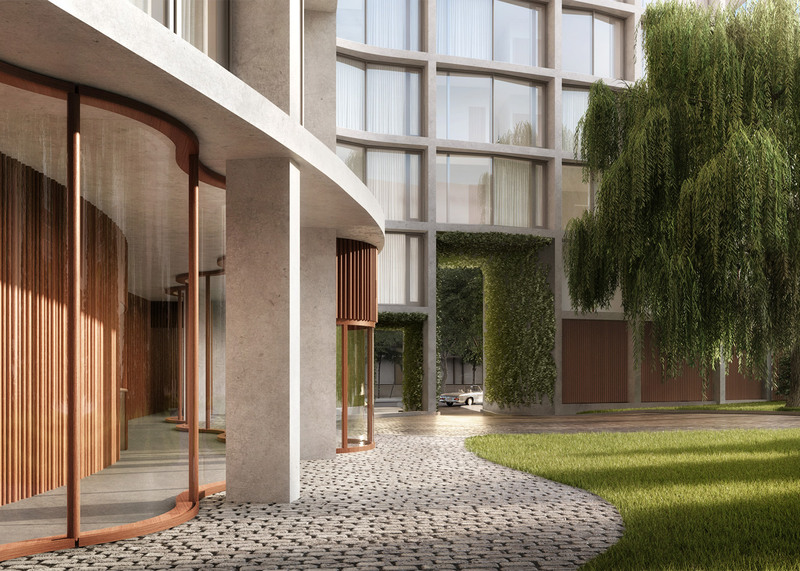 Ian Schrager: Well, I'm working on my private label, the Public brand; we're opening up a hotel in downtown, on Chrystie Street, a 370-room hotel that's opening up at the end of this year, beginning of next year. And we're working on a 500-room hotel in Brooklyn, and I hope to be working on another hotel, or another one or two hotels in Midtown. All will be private label. Marcus Fairs: And what is the thinking behind those, then? Are you taking any, what are the new ideas that you'll be putting into those? Ian Schrager: We're rethinking the luxury lifestyle hotel and traditional luxury hotel, but also taking note of the select-service [hotels that offer less extensive dining and meeting facilities] space and the kind of services that they provide and trying to come up with a hybrid that offers a luxury service, but at a good value. Marcus Fairs: And who are the designers and architects you're working on for those? Ian Schrager: Well Herzog is doing the first one, the Chrystie Street one. Marcus Fairs: And, anyone else? Marcus Fairs: And if you look back in your projects, which is the one that you remember most fondly? Ian Schrager: I love them all. They're all like my kids. I put a 110 per cent effort into every single one of them. There is nothing I would change, if I had the opportunity to go back. Nothing. I wouldn't open it if I wasn't satisfied with it. But I put so much into it. You know, just everything, just every emotion, really trying to do something as good as it can possibly be. People always ask me about that. I don't have a favourite, it's like asking what was my favourite kid. You know I don't have a favourite. Just some of them have been natural successes, and some of them I had to work at. 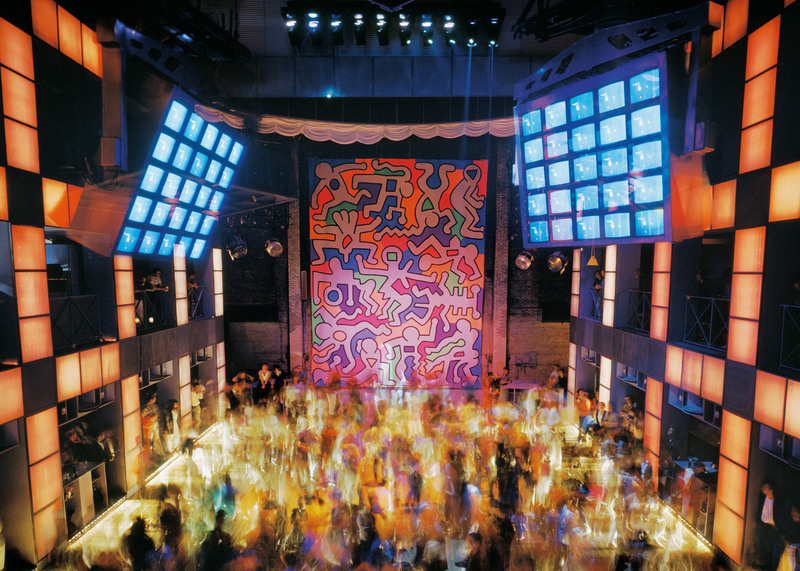 Like Studio 54 was a natural success; Morgans was a natural success, but Royalton and Palladium had to work a little bit. You know, they were great successes, but it didn't happen naturally. I really do love your site by the way. I go to the architecture section, I go to interiors, I see the best stuff there.